For me, many of these times, I take out my iPhone and snap an image. It may not always be an award winning shot, but it reminds me of the moment. It reminds me of where I was and what I was doing. It marks time. Happy times. 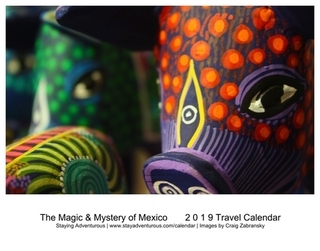 When I attended a Mexico Tourism Board roadshow last year, an event that sparked me to write Why I Love Mexico, I had such a moment. The event, held at the Time Warner Center at Columbus Circle had a view of the Central Park. When we mingled over cocktails, tasty Mexican appetizers and discussion about the life size photography display I headed to the window. I noticed a spectacular shine as the sunset reflected across the park. I took an image. I think I even discussed the sunset with Secretary of Tourism Gloria Guevara Manzo when we chatted. We discussed how Mexico has some spectacular sunsets too, but make no mistake this moment belonged to my home town. It belonged to New York. Enjoy. 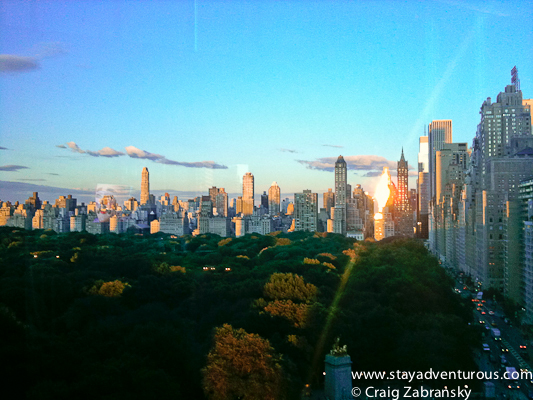 the view of Central Park at sunset. i often take pictures of the sunset and a nice glowing moon, but the photos never do them justice. lovely picture. Thanks @Mack, and I agree, the moon is a challenging object to photograph and give it justice. I am still working in that myself. I have a post soon with a moon at sunrise – stay tuned.